How do you think the Government's upcoming spending review could impact on the events industry? The Government is set to announce the results of its comprehensive spending review next month in a bid to make billions of pounds of savings. What is your view on how the Government might implement changes that could affect the events industry? Have your say on C&IT's online poll. 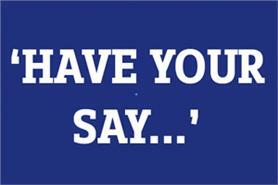 Share your views here on C&IT’s spending review forum.